Spring is finally here,and we have less than two months of school left! We have been starting to see recipes with fresh fruit popping up all over the internet and got in the mood to do some spring baking ourselves. We decided to make use of some ricotta in the fridge and make these delicious muffins that are perfect for spring. These light and cupcake-like muffins start out the way a good lemon treat does: whipping together butter and lemon-scented sugar (created by rubbing together the sugar and lemon zest to release the lemon flavor- it smells heavenly). Then comes a somewhat unique ingredient: ricotta cheese. We’ve made a couple of baked goods with ricotta now, and they always turn out soft and delicious. It’s a great ingredient for baking! The muffins are finished off with the usual suspects: vanilla, flour, salt, etc. 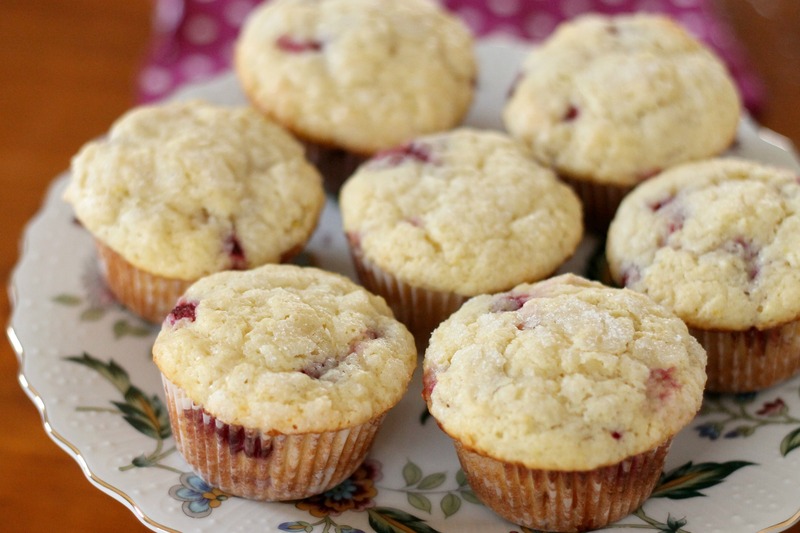 Finally, in the muffin tin, the batter is layered with raspberries and topped with a little sugar. They bake up to be amazing smelling, fluffy muffins and probably the best ones on our blog so far. Trust us, it’s hard to eat just one! Preheat oven to 350 degrees F. Line 12 muffin cups with paper liners. Set aside. In a medium bowl, whisk together the flour, baking powder, baking soda, and salt. Set aside. In a small bowl, mix the sugar and lemon zest. Rub the lemon zest and sugar together with your fingers until fragrant. Using an electric mixer, beat the butter and sugar and lemon zest mixture together until light and fluffy, about two minutes. Add the ricotta cheese and beat until smooth. Beat in the egg, lemon juice, and vanilla extract. Add the dry ingredients and mix until just blended. The batter will be very thick. Fill each muffin cup half way with batter. Add about five raspberries to each muffin cup. Top the muffins with remaining batter so that the berries are covered. Generously sprinkle sugar over each muffin top. Bake the muffins for about 20 minutes, or until the tops are slightly golden brown. 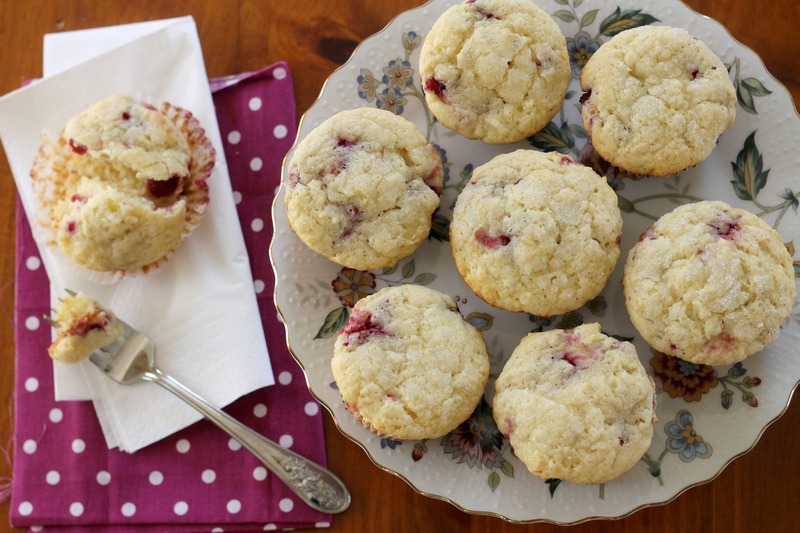 Let muffins cool for five minutes and serve. Enjoy!